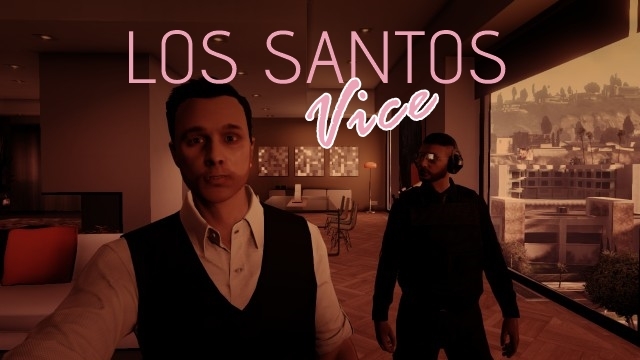 Los Santos Vice is the next step in the LSNP Crew's adventure in Grand Theft Auto Online. 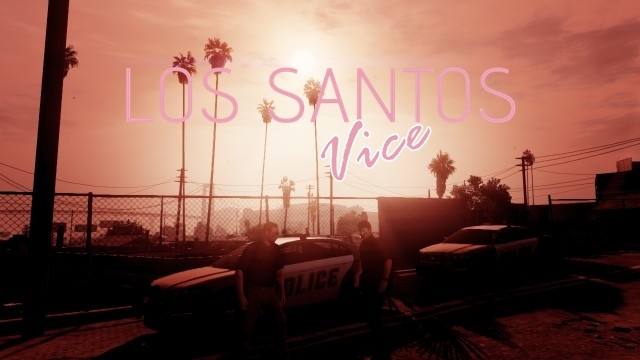 Los Santos Vice will, like LSNP, be set in the city of Los Santos. However, the members of the LSPD will be suiting up in civilian attire to investigate narcotics and prostitution, among other highly illegal activities happening in Los Santos. The officers of Los Santos Night Patrol are welcome to be undercover officers in Los Santos Vice. We're bringing new takes on ideas that have been successful in LSNP to Vice to help accommodate the undercover aspect of the job. Rather than using Zello to communicate to dispatch, Zello will be used for officers to communicate to one another. While offices may communicate to dispatch on occasion, most communication is done directly between officers. Undercover LSPD officers are expected to wear professional attire while working. Take the left-most promotional shot from above as an example. LSNP Crew Chief, mattbe213, is wearing a black vest with a white shirt with black dress pants and dress shoes. Something like this is what the LSPD undercover officers wear on-duty. Typically undercover officers will NOT be wearing body armor over their shirts, but some significant situations may call for such equipment. As a rule of thumb, undercover officers are dressed to blend in with the civilian population. Dress well, but don't look like a cop.